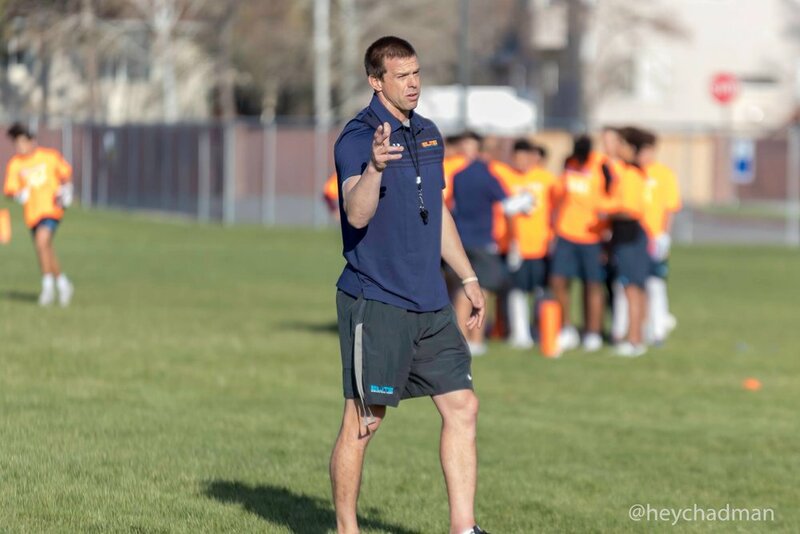 Coach Riley Jensen was born and raised in Salt Lake City, UT, and is a Cottonwood High School alumnus. At Cottonwood, he was a 2-year letterman in football, while also lettering 3 times in basketball and baseball. As a senior, Riley was an all-state quarterback for his high school team. Not missing a beat after graduation, he led his Snow College team to a 10-1 record and a 4th in the nation ranking. Following the season, he received 1st team Junior College All-American (3,605 yds. passing, 36 TD’s) first team JC Academic All-American. Co-Founder Ed Larson was his Offensive Coordinator, and taught Riley the intricacies of playing/coaching the Quarterback position. After Snow, Riley joined Brigham Young University and received tutelage from LaVell Edwards and Norm Chow in before transferring in 1997 to Utah State University to play Quarterback. It was at Utah State that he was coached by Bob Petrino (currently the Louisville Head Coach), and under Petrino’s training and coaching Riley was quickly named 1st Team Academic All-Big West, and was the team captain. Shortly after, Riley took the offensive coordinator position at Snow College in 1999, where his team led the country in passing and total offense, helping lead them to a 7th in the country rating. He also coached at North Carolina State University as a GA in 2002, where he worked with the Quarterbacks, including current San Diego Charger Quarterback, Phillip Rivers. 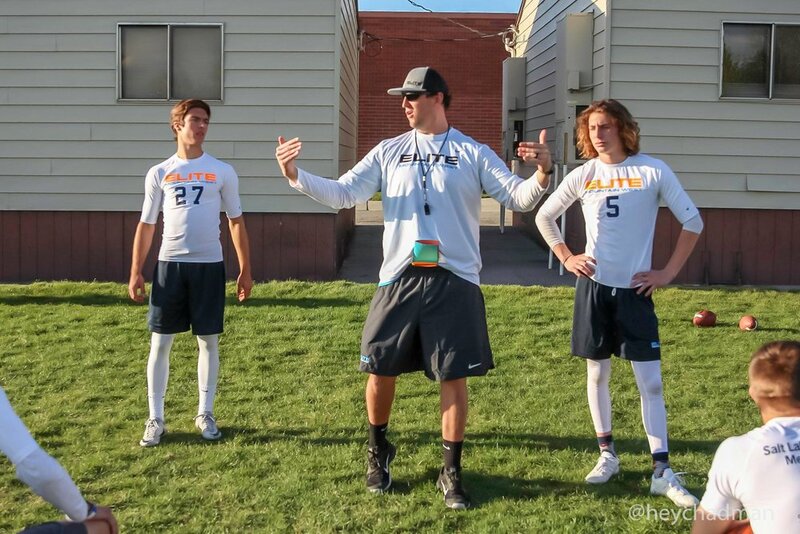 Since coaching in the college ranks, Riley has coached the quarterback’s coach for perennially ranked Cottonwood High School (6 years), Olympus High School (2 years), and Alta High School (2 years). In that time, he has helped 6 QBs become All-State Quarterbacks. He has helped to place 3 of those 6 QBs in BCS Conferences, the others receiving college scholarships as well. (Olin Hannum, NC State University) (Alex Cate, Oklahoma State University) (Crosby Jensen, Snow College, Minot State) (Steve Romero, Mesa State) (Cooper Bateman, Alabama), and Braxton Kerr (Snow College). Riley spends his free time assisting and inspiring quarterbacks of all ages reach their full potential. 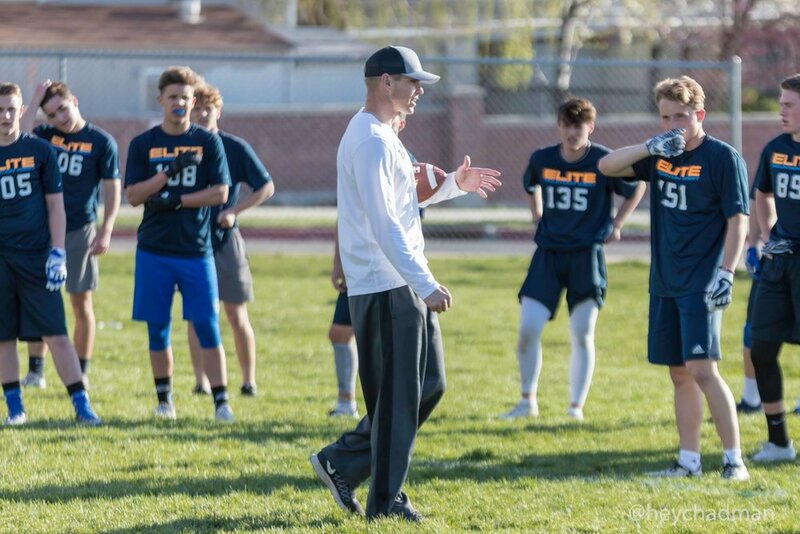 Riley also helped lead an Alta offense in 2016 that is ranked as the 3rd best in the history of the State of Utah with over 6,800 yds of total offense. He also coached Josh Davis, Alta High School RB who is only the 2nd RB in the history of the state of Utah to rush for consecutive 2,000 yd rushing seasons (2,077 in 2015, 2,645 in 2016). Ed has had the opportunity to coach at all levels of the game making his perspective valuable for all campers. He spent time with Bill Walsh in a special offensive QB/WR camp that included players such as Peyton Manning, Jake Plummer, and Brian Griese. His resume of developing players and producing offense is outstanding. Coach Cooper attended Lehi high school where he was a 3 year starter and a 4 year letterman. While at Lehi he earned Region MVP, All-State and All-American honors. Not to mention he picked up a state basketball championship as well as the state MVP his senior year. He attended Weber State right after high school on a football and basketball scholarship where the Wildcats were Co-Big Sky Champs that year in basketball. The following year he chose to leave for an LDS mission where he served in Santiago, Chile. Upon his return he decided to join several of his high school pals playing football at Ricks College. While at Ricks they enjoyed multiple weeks ranked as the #1 NJCAA team in the nation and later played for the National Championship. After Ricks he returned to Weber State and was a 2 year starter team captain and earned Big Sky Honors and is still recognized as one of Weber State all time passing leaders. Cole also played for the Utah Warriors in the NIFL (national indoor football league) sponsored by Ken Garff. 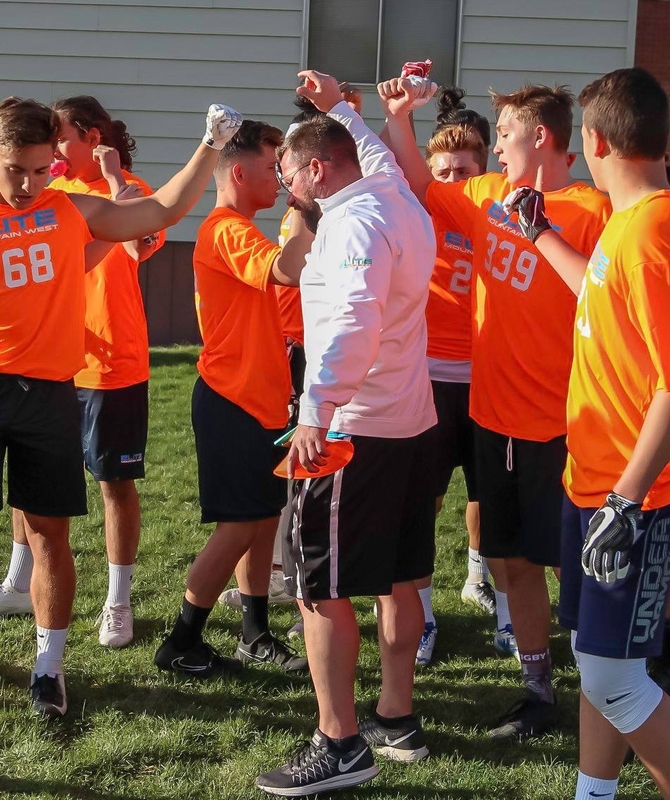 He is currently the President of Lehi Youth Football which has over 700 athletes (the largest youth program in Utah County) and takes pride in building the character and talent level of his players. Calbert Beck, M. Ed. Elementary Ed. Multiple years in Ute Conference. Anthony Jefferies BS, M. Ed., APEX cpt. Curtis attended Bingham High School in South Jordan, Utah and was a letterman in football and basketball. In football, he was an All-Region honoree as both, a wide receiver and as a defensive back.Curtis began his collegiate career at NJCAA junior college powerhouse Snow College where he earned Second-Team All-America Honors. He then transferred to Utah State. Curtis started his Utah State career as a walk-on. As a junior he led the nation in receptions, earning him third-team All-America honors. Kevin also broke many Utah State single-season records along the way including pass receptions (100), receiving yards (1,531), most 10-reception games (6), most 100-yard receiving games (9), and most consecutive 100-yard receiving games (6). He was also named his team's Offensive MVP. His tremendous play as a junior earned him a scholarship for his senior year where he ranked seventh in the nation in receiving yards per game (114.36), and 12th in the country in receptions per game (6.73). He also led the Aggies with 74 receptions (fifth-best season total in school history) for 1,258 yards (fifth-best in a single season) and scored 60 points to lead the team with an average of 117.4 all-purpose yards a game. In only two years at Utah State he ended his career leading in many statistical categories including career receptions (174), career pass reception yards per game (126.8), career pass receptions per game (7.9), and finished second in career receiving yards (2,789). He was teammates with Washington Redskins tight end Chris Cooley. 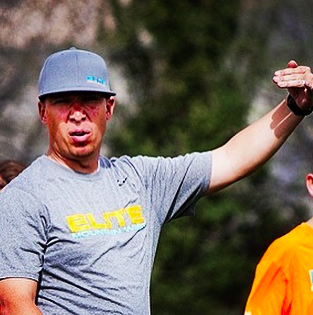 Kevin will be coaching the wide receivers at this year’s Mountain West Elite training skills camp. He is excited to coach young men who are passionate about football. Bradon Godfrey began his collegiate career playing wide receiver at Southern Utah University, were he earned the Great West freshman of the year award. This opened opportunity for him to transfer to the University of Utah earning the Future Award, Clutch Performer Award, three bowl game championships, a BCS championship, a Mountain West Conference championship, and the 7th place record for all time receptions in the history of the University of Utah. Following his college career at Utah in 2008, he spent time with the Buffalo Bills, Atlanta Falcons and Baltimore Ravens before being released from the NFL. Since that time he has been a position coach for the wide receiver position, sharing his knowledge and transforming athletes into dominate wide receivers. Bradon’s wide receiver training methods have resulted in several wide receivers earning All Region Awards, All State Awards and some being awarded scholarships to the college ranks. 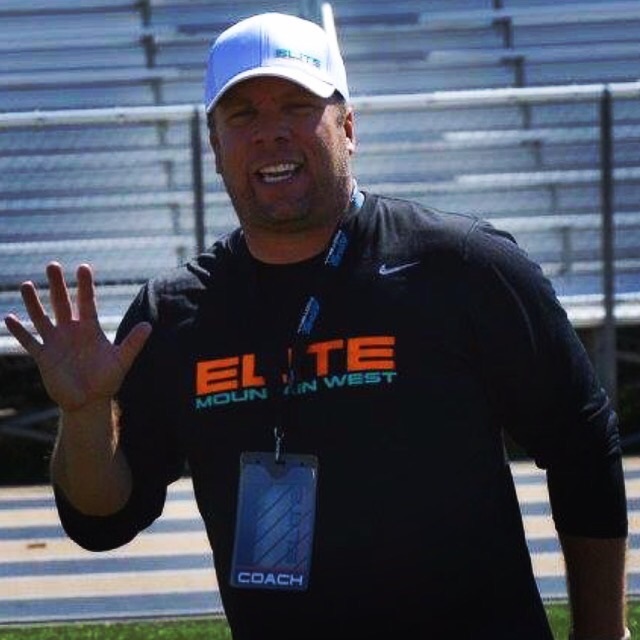 6 Years as OC for Team Utah in Western US Pylon 7 on 7 Tournament, 100 team tournament. 4 final 4 appearances, 3 Championship game appearances, and won it once. Coach Fotu Katoa played high school football for coach Steve Lineweaver, current head coach at Trinity High School in Euless, Texas. He made first team All Region and All Area as an OLB. He was the first Polynesian football player at Trinity High School. He played TE, FB and OLB. In high school, Coach Katoa played rugby in the mens Division I league and was invited to tryout for the Regional USA National team. Coach Katoa accepted a football scholarship to Ricks Jr. College. He played TE, where he broke Ricks college records in catching, yards and touchdowns during his seasons. He was also selected First Team All American. Coach Katoa accepted a scholarship to Brigham Young University, where he was a back up TE for Cougar All American Chris Smith and also caught passes from Ty Detmer, the winner of the 1990 Heisman Trophy. At BYU, he was coached by LaVell Edwards, Norm Chow and Robbie Bosco. Coach Katoa's BYU football career was cut short with major back, ankle and knee injuries. 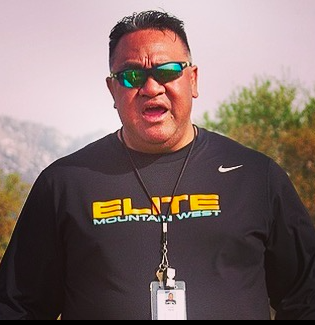 Coach Katoa is a board member and coach for All Poly Sports (www.allpolysports.com). Everestt Matagi prepped at Cyprus High where he was an all-state linebacker. He lettered in Football (3), Basketball (3) and Soccer (1). In high school Everestt also played FB, RB, TE and WR. Everestt accepted a football scholarship to the University of Utah, where he played OLB and DE. 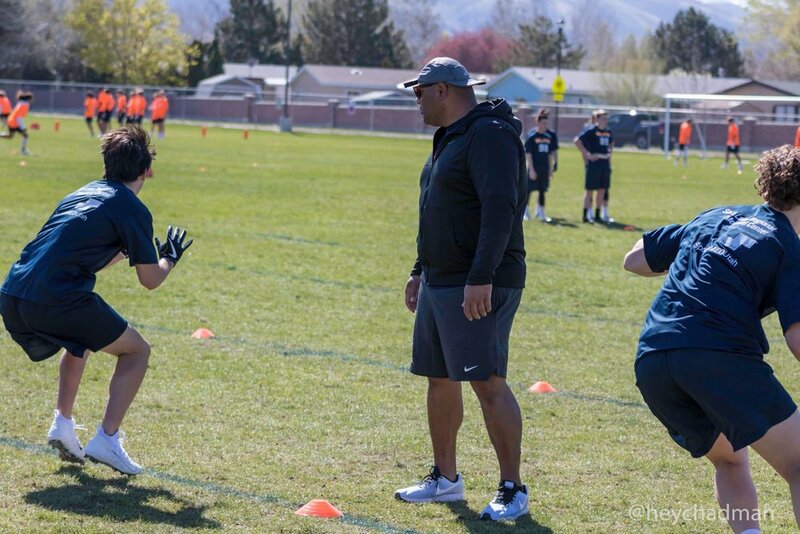 In college Everestt was able to increase his football knowledge from those who coached him: Bill Smith/Linebacker, Kyle Whittingham/Linebacker, Fred Whittingham/Linebacker, Steve Kaufusi/Defensive Line and University of Utah head coach, Ron McBride. After college Everestt returned to his Cyprus High School and started on his path to coaching football. Coach Matagi has been coaching football for 14 years. He has served as a high school defensive coordinator and linebackers coach at Cyprus High/Varsity/Head Coach Dave Peck, Sonny Sudbury, Hunter High/Sophomores/Head Coach Todd Christianson and Judge Memorial Catholic High School/Varsity/Head Coach James Cordova. 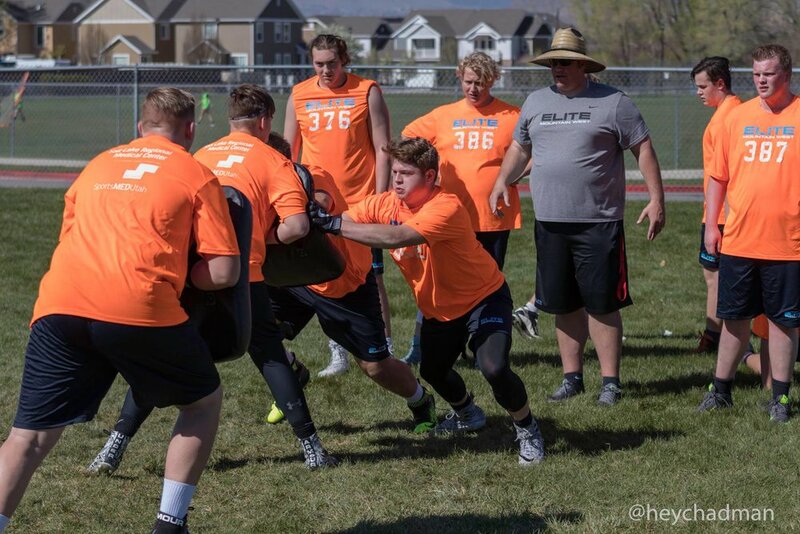 Everestt is currently the Inside Linebackers coach at Bingham High School/Head Coach Dave Peck. Coach Matagi also shares his passion for coaching football at the little league level. He has volunteered as a Head Coach and Offensive Coordinator for the last 6 years in the Ute Conference. Coach Te'o is currently the head football coach at Alta High School. Coach KC Jensen was born in Salt Lake City, UT, and is a Hillcrest High School graduate. At Hillcrest, KC was a 3 year letterman in Football and Baseball, and he played high school basketball as well. As a Senior, KC was Captain of the Football and Baseball teams, and led his teams to playoff appearances in both sports. Upon graduating, KC served an LDS mission to Dallas, TX, Vietnamese speaking. KC then attended Snow College on a football scholarship where he quickly became an integral part of nationally ranked Snow College. As a Defensive Back at Snow College, and a two time letterman, KC helped lead Snow College to 16 wins over two seasons, including a victory over Dixie College in the Rotary Bowl. KC also made his presence known his sophomore year at Snow College as a punt returner, leading the nation in returns with an 11.4 average. After Snow, KC graduated from the University of Utah and quickly coached Cottonwood little league teams to 4 consecutive State Championship games, while winning 1 of those 4. Since that time, KC has coached many teams, helping his Defensive Backs to be dominant performers both on and off the field. Joseph Haymore grew up in Northern California where he played high school footballand baseball for the Yuba City High School Honkers. Go Honkers! He was an offensive and defensive starter for his two varsity seasons. After high school, Joseph played safety at Yuba College for two years where he was selected as a National Football Foundation and College Hall of Fame Scholar Athlete and received the college wide Most Inspirational Athlete Award for the 2002-2003 season. Joseph then transferred to Brigham Young University where he earned a spot as a walk-on defensive back for the 2003 football season. He played under current Cougar head coach, Bronco Mendenhall. Joseph currently resides in Orem, Utah with his wife Stephanie and four children. 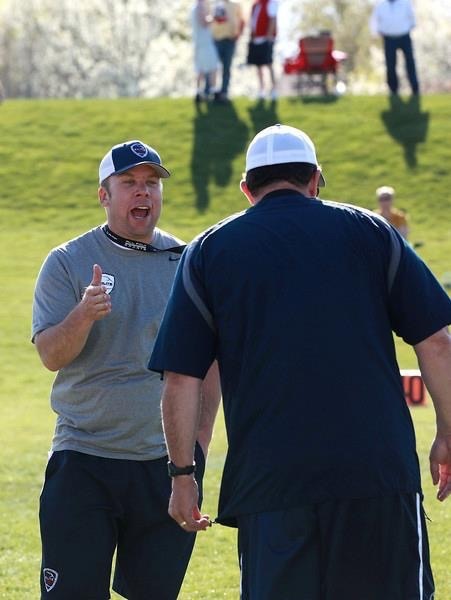 He has coached at Timpanogos High School for the past three seasons and has served as the defensive coordinator for two of those seasons. Coach Doug Beach attended Logan High School in Logan, Utah where he was a 2 year starter in football and a 3 year starter in soccer. While at Logan High, he earned All-Region and All-State Honors his senior year in both sports. After playing one season as the starting placekicker for Eagles of the College of Eastern Utah, Doug served a church mission to Dallas, Texas. Upon his return he enrolled at Utah State University where he was a three year starter for the Aggies, including one year as a punter. During his career, Doug hit on 31/38 field goals setting the career field goal percentage record. His 10 consecutive field goals in 1990 is, amazingly, still a school record. He was named to the All Conference 1st Team after his sophomore year. His longest field goal in a game was 62 yards and his longest punt was 70 yards. 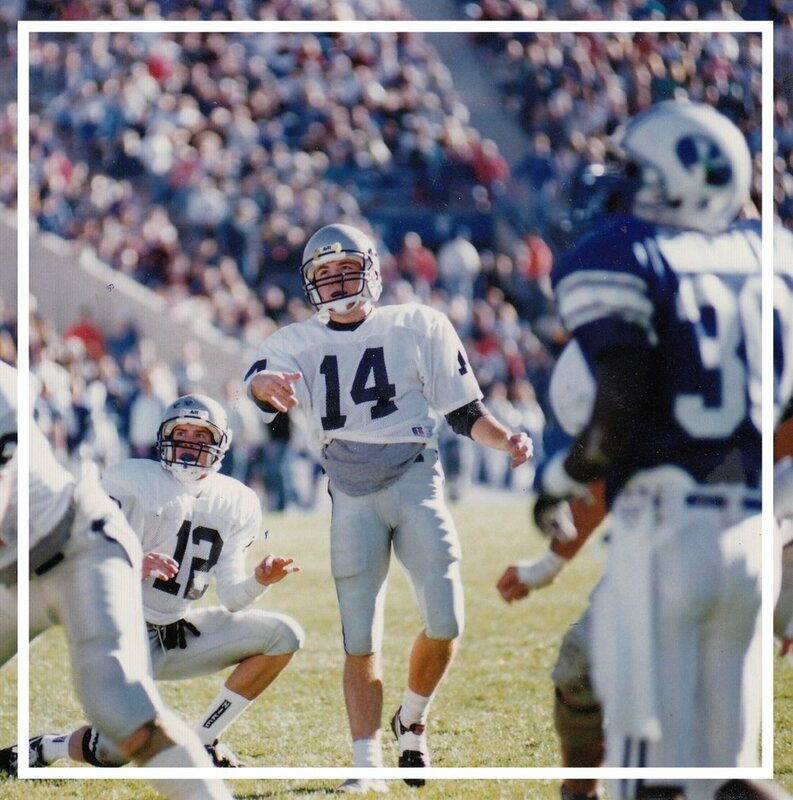 During his time at Utah State, Doug was named Academic All-Conference three consecutive years and received the USU Academic Achievement Award and the NCAA Degree Completion Scholarship. After College he played two seasons of Arena Football where his accuracy allowed him to excel. He was named to the All-League Team during his last season of play. That year he was offered a principal’s job at Logan High School and decided to retire his kicking cleat. Coach Beach served as President and coach of Mark Adams Kicking Camps from 1990-1999 along with many former NCAA and NFL great kickers and punters including Mark Adams (Iowa), Steve Smith, Jason Jones (Utah), Rusty Carlsen (Utah State), and Tate Wright (Kansas State). 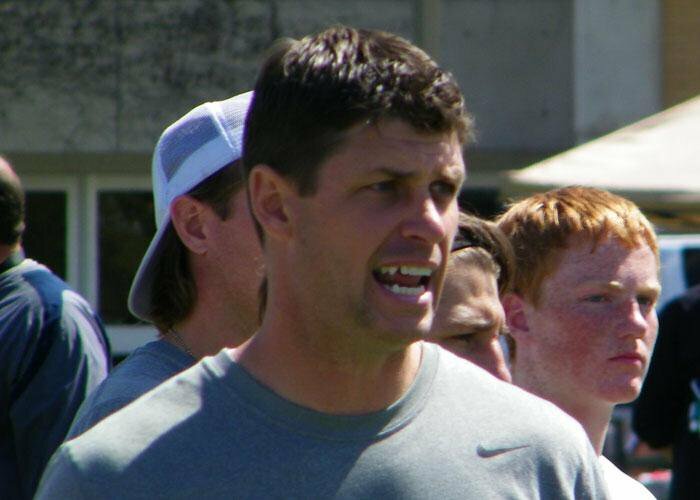 He has also coached in Ray Pelfrey’s Professional Kicking Services Camps along side many NFL and NCAA specialists. Coach Beach coached for several years at Mountain Crest High School, Logan High School, and 8 years as a little league coach (where the real coaching occurs). He is currently workingfull-time as an assistant principal at Mount Logan Middle School in Logan, and coaching at Sky View High School.